The consumer-led activation will honour promised prints for February, but will cease to print requested names after this. Coca-Cola’s profanity slip, shared on social media last week, has prompted the discontinuation of the consumer-led element of the ‘Share a Coke with …’ campaign. In a statement, the carbonated soft drink giant explained that the incident, in which a Twitter user discovered a can of Coca-Cola reading ‘Share a Coke with Xitombo’, which translates to a local word used to refer to female genitalia, was taken very seriously for many reasons. “Not only has the incident caused offence to the Tsonga community and the public in general, but it contravenes the spirit of the campaign which is about inclusivity, respecting diversity and understanding, both of which are unacceptable. The “Share a Coke 2019” campaign has been a success overall, the company said, with over 770,000 consumers enjoying having their name printed on Coke cans. However, the company maintains that for the sake of not offending any communities, as well as not wanting to put their trademark at risk by being tainted with profanity, the consumer-led promotion will honour activations for February, but will cease to print requested names after this. 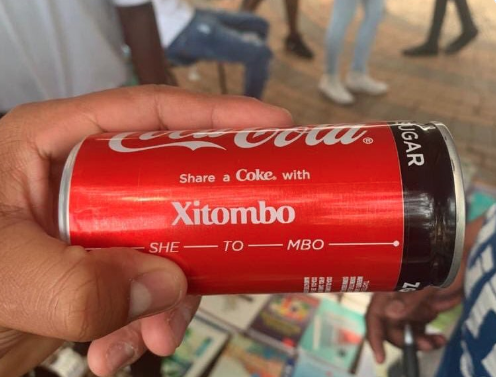 Social media users took offence to the “Share a Coke with Xitombo” Twitter post, voicing their concerns that the Tsonga language, already underrepresented, is now being disrespected. Is their Brand Manager /Marketing Manager African? Who approved this before going to production ? Who is their Advertising Agency? Is the Key Accounts Manager African ? How about engaging language practitioners if one is not sure of what he is approving? Xitombo is a vulgar word in Tsonga used to describe female genitalia, and according to Twitter users, no one has had the pleasure of knowing anyone by that name. Despite this, the can somehow landed in the hands of a Twitter user, who subsequently shared the image.